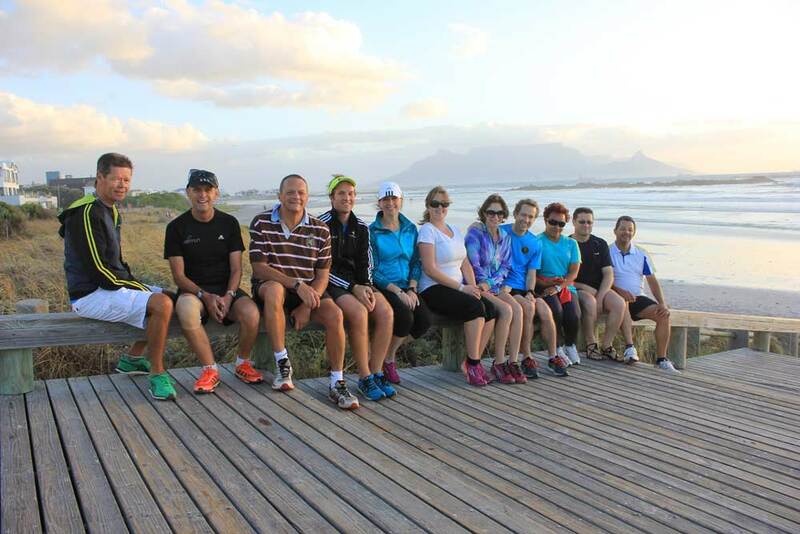 In this edition of the SA parkrun newsletter, regional parkrun directors meet in Cape Town for a conference to discuss the future of parkrun. With the start of a new year, event numbers have exploded! We take a look at the process of ordering your parkrun Club T-shirts and how to get involved in volunteering. Finally, we introduce our oldest SA parkrunner, while Sunrise-on-Sea and Ebotse parkruns fill us in with local event news. 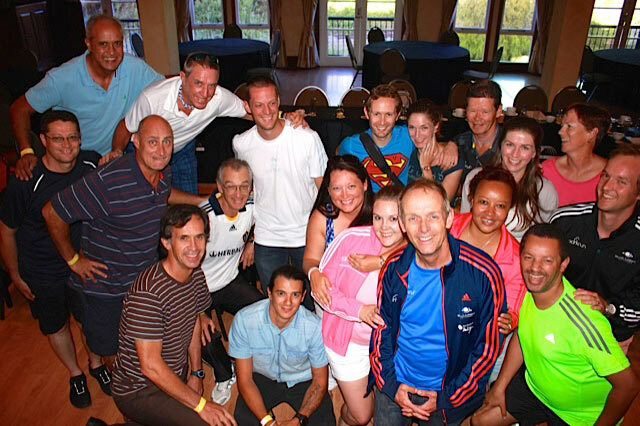 We are still bubbling with enthusiasm after a wonderful weekend in Cape Town where all our regional directors (ambassadors) and local event directors met to discuss parkrun matters. Thanks to Bill Taylor (a Comrades marathon runner) for his generosity at supplying us an exceptional conference venue at Ratanga Junction. This newsletter would be made too lengthy if I reported on all that was discussed at our conference but suffice it to say a lot of hard and important work was completed and everyone is extremely excited about the future of parkrun in South Africa. But it wasn’t all work and no play last weekend, and we all ran a couple of freedom runs (At Big Bay and Rondebosch Common) and we attended the launch of Bellville parkrun. 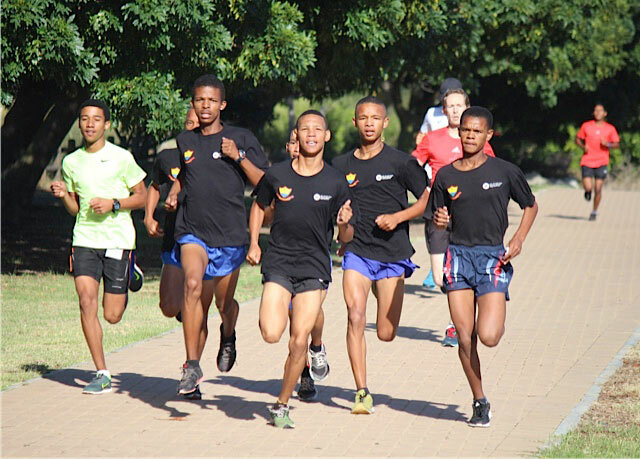 The Bellville/Durbanville community has been clamouring for a parkrun and now finally Hansie and his team have organised a lovely parkrun in the Danie Uys Park. 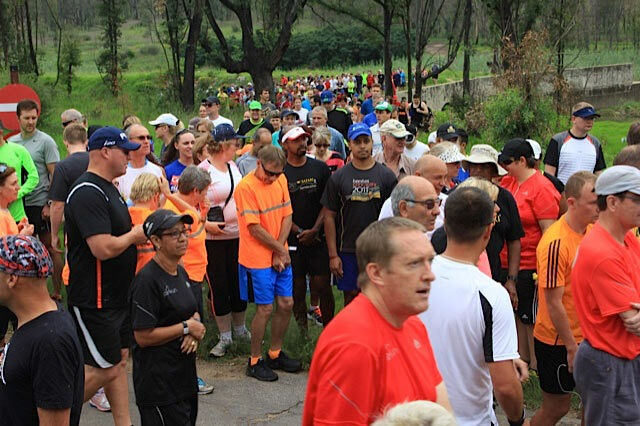 Over 500 enthusiastic locals and visitors arrived to run the inaugural Bellville parkrun. Some of you will have noticed that some parkruns ran extra events on New Year’s Day and at Christmas. This has become something of a parkrun tradition but the decision to hold these extra parkruns is also entirely at the discretion of parkrun volunteers and the local community of parkrunners. We all cannot help but notice that there have been large turn-outs at many of our parkruns. Last Saturday there were six parkruns of over 1000 participants in South Africa and over 18800 parkrunners participated in our 47 parkruns. Some parkrun venues are becoming cramped and there have been problems with bottlenecks and with parking. We would like to encourage our parkrunners to try other neighbouring events at times to relieve the pressure. In the meantime we are exploring the possibilities of starting new parkruns close to those which are becoming oversubscribed. If any of you are interested or know of anyone who might be interested in starting a parkrun close to one of the larger parkruns please will you contact me. Our very own South African parkrun podcast show is now available to download. This week we interview Ray De Vries from the Umhlanga parkrun. He chats about the inaugural run with Dennis Kimeto and Wilson Kipsang and what to expect along the lovely beachside route. Make sure you download it now on the I Love Running website or listen in iTunes. - Follow the link to 'manage my profile'. This link can be found in any of our newsletters and in any of your run results emails. - Follow the link to 'collect and print your barcode' in your registration confirmation email. Many thanks for thinking about volunteering with us - as a rough rule of thumb we ask our most regular runners to volunteer about 3 times a year. However, it is entirely up to you how often you would like to volunteer. For more information on this, click here and read article at the top of the page. Each event manages its own volunteers. This is usually done by the Volunteer Coordinator. 1. Please update your volunteering options on your personal profile page. Once in 'Your Links' please click email options and opt in (and out) of receiving volunteer appeal emails. 2. Take a look at the Future Roster on your event's website (hover over the volunteering tab in the top right of your your local event website). If you like the look of anything, email the address at the top of the page with your your full name, your athlete ID (the number under your barcode) and let us know when you'd like to volunteer. 3. Or have a chat with the event team at the run, or even better at coffee afterwards, but do also send the team an email. They'll get back to you confirming times and what volunteer role you can fill. 4. Later in the week the volunteer co-ordinator will send out a roster to everybody who has offered to volunteer that week to confirm roles for Saturday. The January edition of our Media Partner, Modern Athlete Magazine is available online now! Subscribe to Modern Athlete here. The Team Vitality movement is almost here. You’ll soon be able to officially join the Team Vitality running and cycling club from February. This means that you can start enjoying all the awesome Team Vitality benefits from February onwards. Gear up and join the Team Vitality movement and win a trip to Australia!Terms and conditions apply. This past Saturday was a very special day for the de Jager family! As the photo below shows, all four generations were parkrunning. 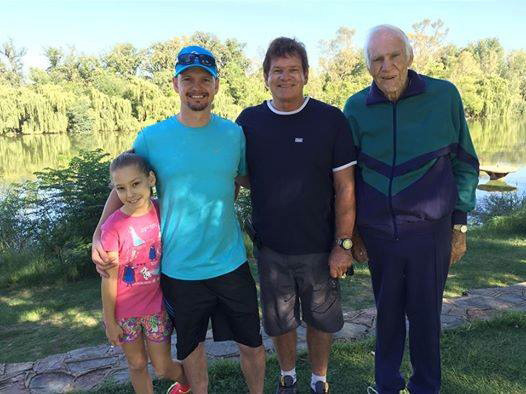 We also believe that Coenraad de Jager, 91, is the oldest parkrunner in South Africa. He now holds the South African parkrun age group record for VM90-94 at 52:40. What an achievement! We started in January 2013 a week before Modderfontein. The initial motivation was to offer the local community something positive through exercise. Our first few months were a bit rocky but it did not take long for the positive spirit and “fun” atmosphere of parkrun to rub off and influence many lives, this is evident in our strong support base. We have many faithful participants and must also mention our volunteers, some who are close to the 100 mark themselves. To celebrate our 100th birthday the Sunrise girls took the initiative and turned our morning completely black. In the evening they organised a night walk and potjiekos function which was very well supported and I believe it will become an annual event in future. Thank you to all who walked/ran the first 100 with us, we are looking forward to the next milestone. Well – if you could find parking at Ebotse this week, you were part of a record event!!! 900 runners and walkers surged from the start to follow our record holder Michael Pienaar who returned after a short break to claim the top spot. Second home was one newest 50 club members, Johnny Mokgoko, further down the field was Linda Troske also completing her 50th run – welcome, both of you, to the club. Our 50 Club grows each week and the 100 Club at Ebotse is already up to 15. Last week - event 131 - saw us welcome Bruce and Gill who awarded 100 Club shirts to recent new members. Ebotse event director Gary Jackson, Jeni Leece (first 100 Club walker at Ebotse), Jubeira Varathara (North Beach) Bruce, Adelle Tanner Tremaine (back), Gill and Alfred Zimkhona. Although parking may have been a problem for some, our race director Gary Jackson and his team handled the increased numbers well and everyone seemed to go away happy, determined to continue this particular resolution! Three of us visiting from the UK were at your first event on Saturday and we all had a great time - no PB's but a real buzz being privileged to see the start of another friendly, wonderful parkrun 10,000km from home (in Yorkshire and Essex). I know it is a feature of parkrun everywhere but you made us so welcome and what an amazing feeling! We were here for work but you started our weekend off in the best possible way. Congratulations and thanks to everyone involved - even on the weather. We are all looking forward to running again on our next visit.